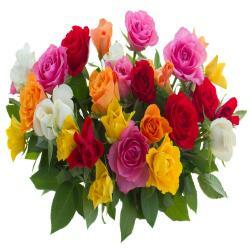 Bouquet of 16 Mix Color Roses. Rose is king of flower. 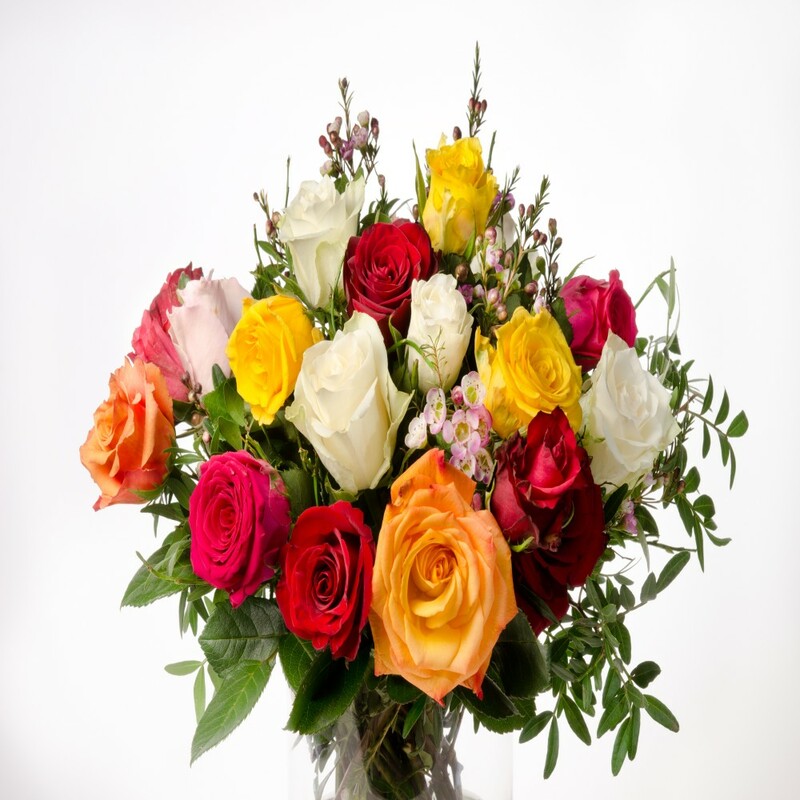 Everyone will like the beauty of rose and rose fragrance Colorful roses bouquet is very regular gift do not think twice to send anyone on any occasion. 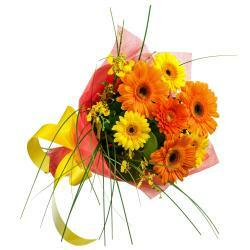 You can fill with love and happiness with this marvelous bouquet to brighten your loved ones with lovely smiles. You can this Bouquet of Sixteen Mix roses on different occasions like birthday, anniversary, missing you, wedding, valentines day, mothers day, rakshabandhan return gift, to congratulate, Diwali gift, Holi gift, Christmas and many more. 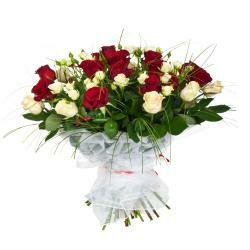 Giftacrossindia.com brings you this colored roses bouquet at very best price, so place your order and get deliver this bouquet to your loved one place. 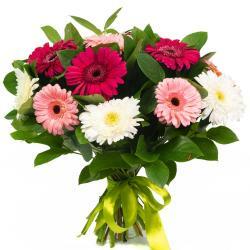 Product Details : Bouquet of 16 Mix Color Roses.